Florida Georgia Line was the center of an album preview, whiskey tasting and Pandora Presents show at OZ Arts Nashville on Tuesday (August 2). 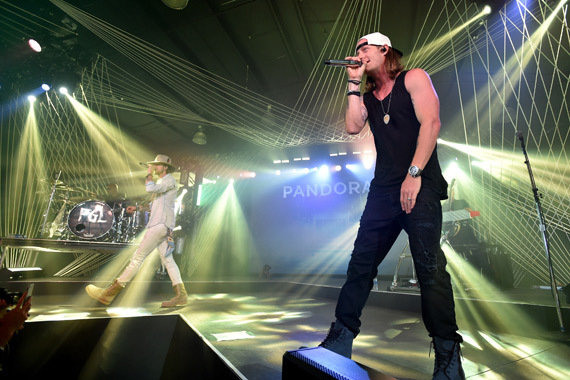 In preparation for the Aug. 26 launch of Dig Your Roots, the duo’s third studio album and first on the newly-renamed BMLG Records, industry members and VIP guests were invited to preview a handful of songs from the 15-track project. 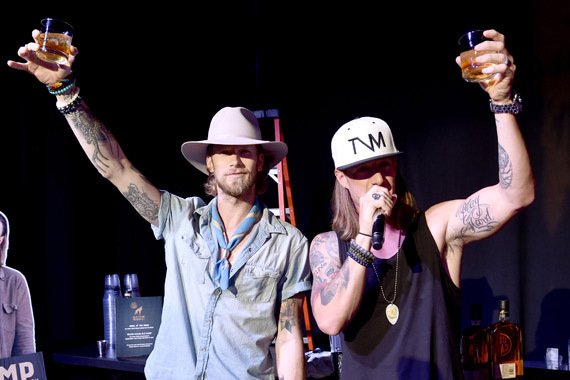 Samples of the band’s Old Camp peach- and pecan-infused whiskey, developed alongside Proximo Spirits, were also highlighted. The brand is rumored to hit shelves later this month. 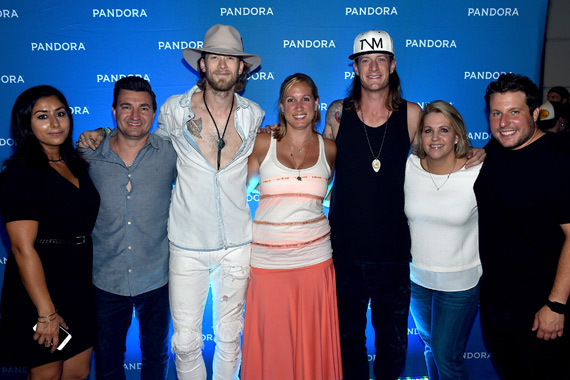 Before the show began, FGL’s Tyler Hubbard and Brian Kelley were welcomed to the stage by host Alecia Davis for a 30-minute Q&A to discuss the new endeavors. “May We All,” featuring Tim McGraw, was released to radio shortly before the party as the follow-up to the No. 1 hit, “H.O.L.Y.” A music video for “May We All” is expected to be released soon. Pandora listeners were lined up for hours in the evening heat outside of OZ Arts in hopes of getting to attend the event. 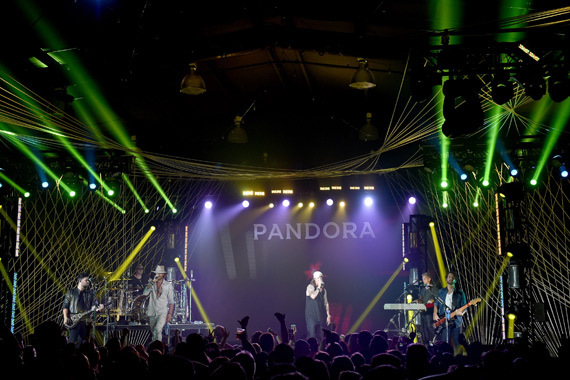 Around a dozen songs were featured, including the new tunes “Smooth,” “Dig Your Roots,” “Life Is A Honeymoon,” and “May We All.” While the latter two album tracks feature Ziggy Marley and McGraw, respectively, there were no surprise guests during the evening. 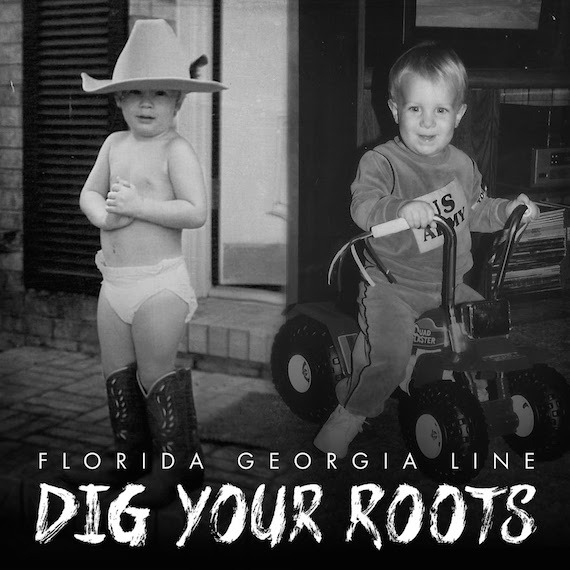 Florida Georgia Line is the most-played artist on Pandora’s second-biggest station, Today’s Country, with more than 3.7 million spins. Wrapping the Q&A, the duo offered their insight into declining music sales and the growth in popularity of streaming services.